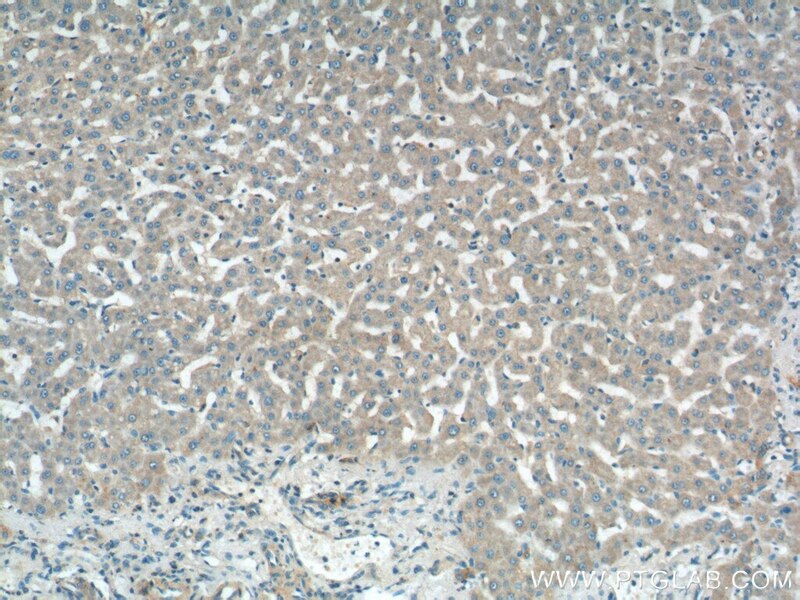 Immunohistochemical analysis of paraffin-embedded human liver tissue slide using 11973-1-AP( TIMM13 Antibody) at dilution of 1:200 (under 10x lens). 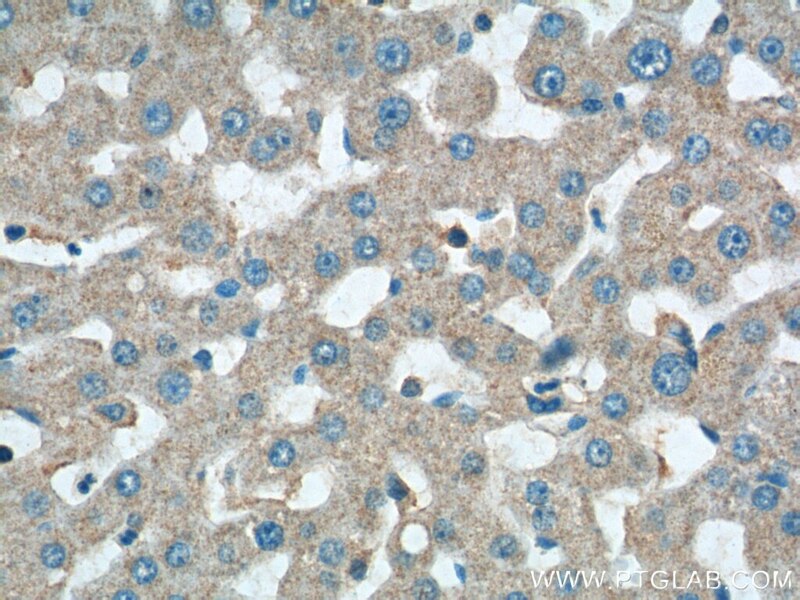 Immunohistochemical analysis of paraffin-embedded human liver tissue slide using 11973-1-AP( TIMM13 Antibody) at dilution of 1:200 (under 40x lens). TIMM13 gene, also known as TIM13, TIM13B, TIM M13A or TIMM13B, encodes mitochondrial import inner membrane translocase subunit Tim13 belonging to the small Tim family. TIM13 functions as mitochondrial intermembrane chaperone that participates in the import and insertion of some multi-pass transmembrane proteins into the mitochondrial inner membrane. Proteins of the intermembrane space (IMS) of mitochondria are typically synthesized without presequences. TIM13 contains four conserved cysteine residues that bind a zinc ion as cofactor. Import of TIM13 did not depend on the membrane potential or ATP hydrolysis. Upon import into mitochondria TIM13 adopted a stably folded conformation in the IMS. 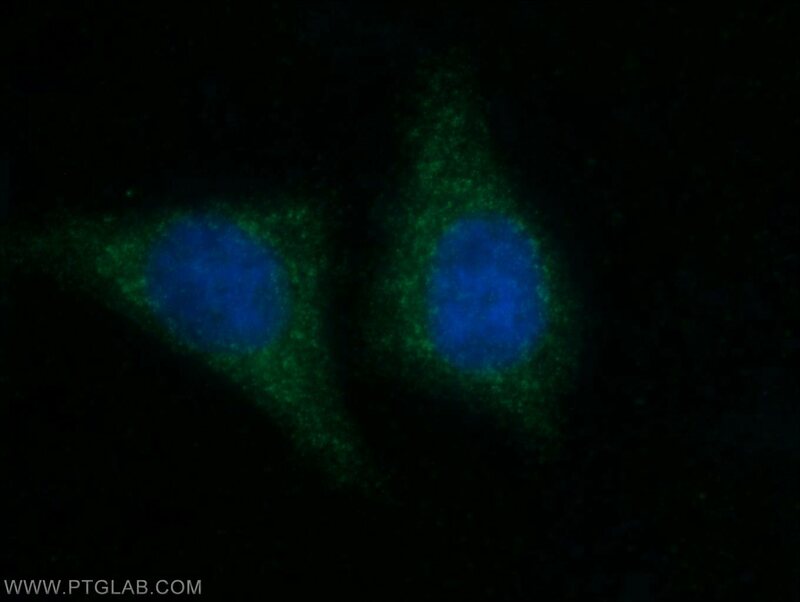 TIM29 is a subunit of the human carrier translocase required for protein transport.